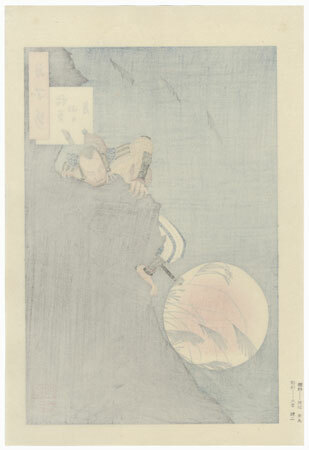 Inaba Mountain Moon - Incredible, dramatic night scene showing Toyotomi Hideyoshi bravely climbing a cliff to sneak into the Saito clan's castle at Gifu. He and his men carried water gourds on their backs, and once inside the fortress, raised the gourds on bamboo poles to signal the outside troops to attack. The daring plan to take the castle was successful due to Hideyoshi's ingenuity and courage, and the gourd became his symbol. 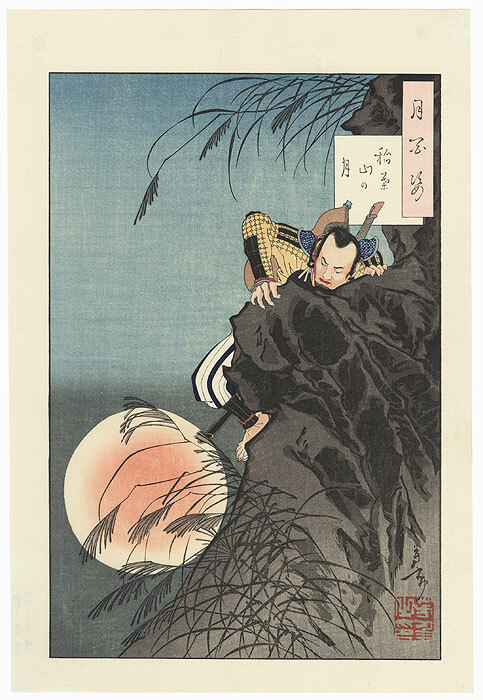 Here, a full moon rises below, silhouetting the susuki grasses as the warrior clings to the rocks. Beautifully composed, colored, and shaded. 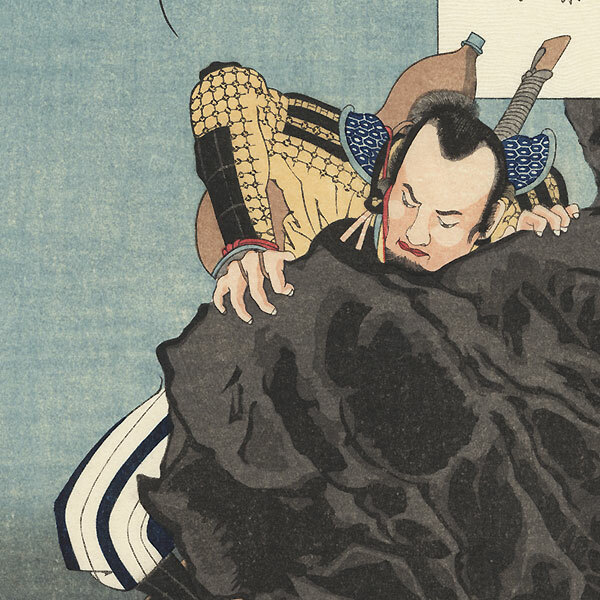 A dynamic design and a must-have for those interested in Yoshitoshi's prints. This high quality reprint is an excellent way to acquire this classic image at a fraction of the cost of an original. Published by Ukiyo-e Hanga Kanko-kai.